We believe wine should be enjoyed anywhere, by anyone -- so we put wine in a can and called it Joe To Go! 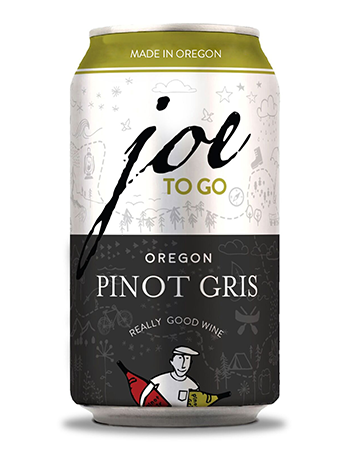 Our Pinot Gris in a can is crisp with bright acidity & has tropical fruit flavors. Joe's ready -- are you? !